Elite Care vs. a hospital emergency room: What’s the difference? We think the graphic above makes it clear. Our Elite Care locations are helping challenge the long-held, conventional wisdom about emergency rooms, and they’re everyday examples of why radical change is necessary in how emergency care is delivered to the public. Shorter wait times, shorter visits and more personal attention: it all adds up to a better emergency care experience. 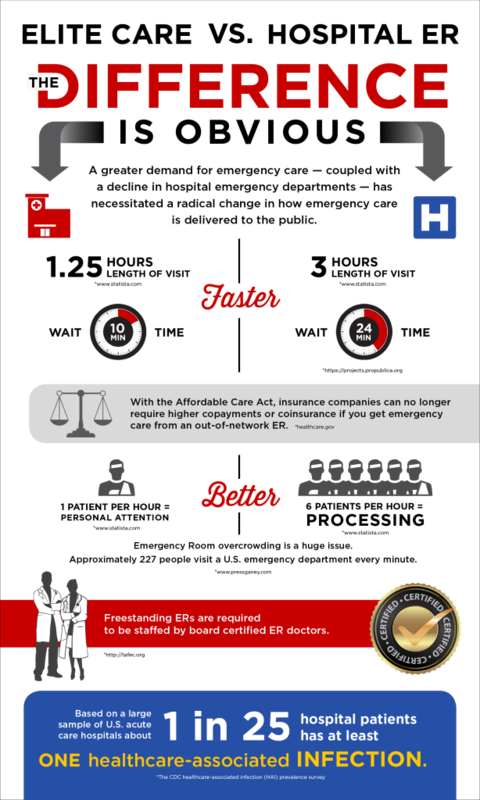 Share this post or the graphic itself if you’d like your family or friends to see another option in emergency care.